Join the MIT Libraries and EECS GSA and EECS GW6 members on November 2 as we celebrate women in computing and engineering! 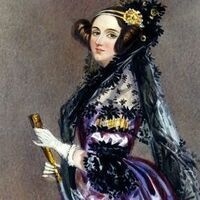 We'll celebrate Millie Dresselhaus's birthday (Nov 11) and Ada Lovelace Day (Oct 10) by editing and improving Wikipedia articles on the work and lives of female engineers and computer scientists, with a particular focus on documenting and explaining their work and technical achievements. Learn how to edit Wikipedia over lunch and then spend the afternoon exploring, adding to, and editing the world’s largest open access project. Everyone is welcome, including new and experienced Wikipedia editors, and editing in any language (not just English) is welcome! Join us to take a break from the lab and share your technical knowledge and enthusiasm for science and engineering with the world.